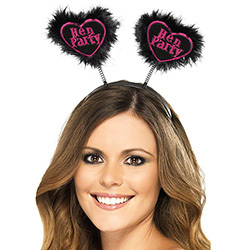 It's always great when you can get a set of head wear for the group, one for the bride to be and then a matching product for the rest of the group and these heart shaped hen party boppers certainly fall into that category with a matching set for the hen. These come on a black head band, and are in the shape of a heart, the black material really makes the brightly coloured text stand out and the fur trim simply puts the finishing touches on them. 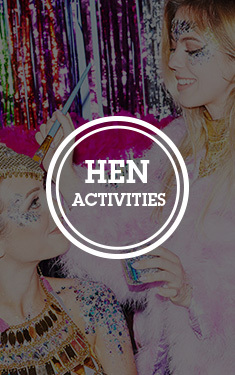 "Really nice and perfect for the more 'straight-laced hens'."